Dissected window shade on custom wooden panel. 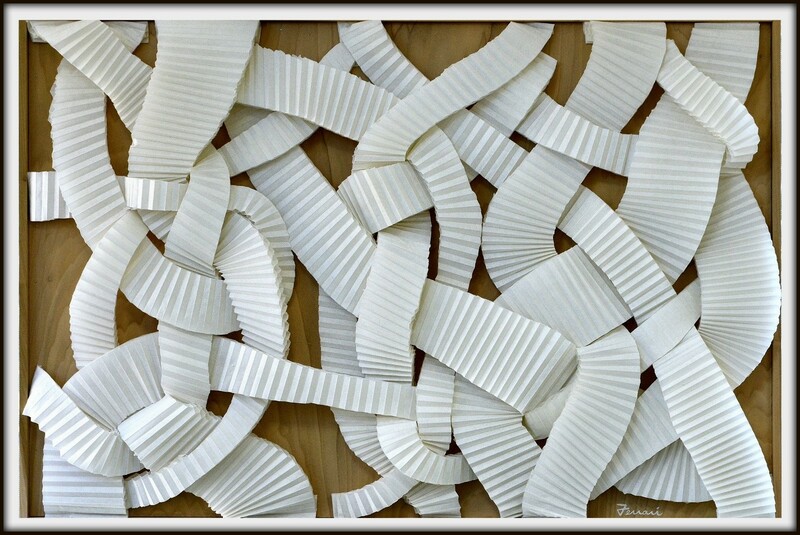 The main body of the work is made up of strips from an old accordion-style window shade. All of the sections of shade are weaved around one another, creating a sense of depth and complexity within the work. Framed and ready to hang.